If you have a role working with children, young people or adults who may be vulnerable or if you are a parent who wants to understand on-line safety, then do read the e-learning safeguarding brochure. This explains what programmes are available via e-learning and how to access the programmes that interest you. Every human being has a value and dignity which we as Catholics recognise as coming directly from God’s creation of male and female in his own image and likeness. Our parishes therefore must be a place of welcome, where each person is respected and loved, and in which we receive and share our unique gifts. Parishes must be communities where we support and protect each other. We must take particular care of who may be vulnerable because of age, illness or disability or because of current or past-life experiences. All who work in Church ministries must be carefully selected, know what is expected of them and be willing to ask for help when unclear or anxious about their role. Being able to respond confidently and proportionately to concerns about the safety or wellbeing of a vulnerable member of our Church. When required involving other organisations – so our response to concerns is robust. Ministering to and managing those who have caused harm. Every member of the Catholic community is in the team! We must all look out for the more vulnerable members of our church community. 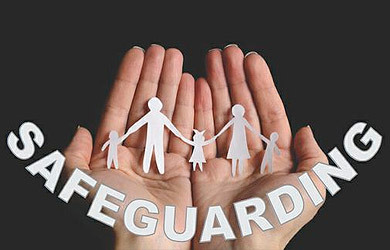 Help to maintain a safeguarding awareness at all times. Assist with the management and support of people who may have caused harm and who remain members of a Church community. This national resource page here from the Catholic Safeguarding Advisory Service (CSAS) has the full range of helpful resources to access and download. The CSAS Procedures Manual can be accessed here. Core Office Hours: Monday – Friday 8.30 am- 4.30pm. If you have concerns about the immediate safety of someone who is vulnerable you should contact the Police or your local Social Services Department See CSAS procedures, chapter 2. For other urgent matters outside core hours please leave a message. Coordination of the DBS checking system, and maintaining records in line with national requirements. Working with a variety of stakeholders to identify what can be offered to people hurt by abuse, or affected by the impact of abuse. Supporting people who are subjects of Covenants of Care. Jane is a qualified Social Worker, responsible for managing all safeguarding work within The Diocese in collaboration with The Safeguarding Commission, The Bishop and Congregation leaders. Jane is contracted to work 3 days per week. Jane is principal lead for the management of responses to concerns and allegations, and oversight of Covenants of Care. Rachel is an experienced administrative officer in the Diocese and works in the Safeguarding Office 2.5 days per week. Linda assists with the maintenance of DBS databases and other admin tasks.. The Commission is a group of independent professional people appointed by our Bishop to oversee the implementation of national policies and procedures in our Diocese and support the same in 8 religious congregations. The LSC has advisory, supportive and monitoring functions and reports to our Bishop, Diocesan Trustees and is also accountable to leaders of 8 Religious Congregations who are aligned to our Commission. If you have any concerns about any aspect of safeguarding practice in the Diocese or want to raise anything with the Commission, you can write to the Commission Chair via The Safeguarding Office, 218, Tulketh Road, Preston PR2 1ES marking your envelope as ‘private and confidential’ – for the attention of the Commission Chair. The NCSC has responsibility for setting the strategic direction of the Church’s safeguarding policy and monitoring compliance. Its place in the organisation of the Church, mandated by the Conference of Bishops and Conference of Religious, and with accountability across Dioceses and Religious Congregations is to ensure that standards are met and policies are implemented. The Commission’s specific task is to propose to me the most opportune initiatives for protecting minors and vulnerable adults, in order that we may do everything possible to ensure that crimes such as those which have occurred are no longer repeated in the Church. The Commission is to promote local responsibility in the particular Churches, uniting their efforts to those of the Congregation for the Doctrine of the Faith, for the protection of all children and vulnerable adults. What should I do if I think a vulnerable person is unsafe or at risk of harm? Listen, Observe. Reassure a person who is telling you they feel unsafe, do not make judgements about whether it may be true or not. If there is an immediate and significant risk of further harm contact police, ambulance, social services directly. Talk about what you have seen or heard to your Parish Safeguarding Representative, your Parish Priest or contact Safeguarding Office directly. What happens after I have reported a concern? The Safeguarding Coordinator may consult or refer to statutory agencies and the LSC to decide what further investigation is needed and what safeguarding or support plans could be considered for those affected by the allegation. S/he will tell you what the next step is. However if an enquiry is to be conducted you may not be told much more in the way of details in order to protect all involved and the integrity of the investigation. You should be told about the outcome of any safeguarding activity relating to the concern you raised. Contact the mainline number for reporting crime in your area and ask the call taker to transfer you to the appropriate unit. Always make sure you tell the call taker if your concern is about a vulnerable adult or a child. Police forces also have Domestic Violence, Child Protection and Vulnerable Adult Units.